Do You Know the Difference Between a Chauffeur and a Driver? Drivers and chauffeurs are NOT interchangeable; in fact, travelers who need dependable transportation from Point A to Point B are sure to notice the differences between both options. A driver is simply someone who operates a vehicle, while a chauffeur is a professional who is hired to drive. For example, consider a taxi service like Uber or Lyft, which allows just about anyone to become a driver. • You must own and operate a four-door vehicle, 2009 or newer. • You must have a driver’s license and insurance. Conversely, consider a chauffeured transportation company such as THINKLimo, which hires professionals who display exemplary citizenship in everything they do. THINKLimo specializes in customer service, and its chauffeurs will do everything possible to ensure passengers enjoy their travel experiences. In addition, this Milwaukee car service hires and trains each of its chauffeurs and challenges them to deliver world-class customer support day after day. Chauffeurs are accountable for their actions, and as a result, work hard to serve customers. On the other hand, many drivers typically focus on getting from one destination to another as quickly as possible and rarely go above and beyond the call of duty to support clients. Traveling in comfort, style and safety is important for passengers of all ages, and a chauffeured transportation company guarantees all its vehicles meet its clients’ needs. Meanwhile, taxi services usually cannot match the high-quality vehicles provided by a chauffeured transportation company. Uber and/or Lyft drivers are not required to maintain their vehicles, and who knows what could happen if a driver’s car suddenly breaks down. For travelers, delays are inexcusable, yet these problems could easily arise if an of these drivers avoid regular vehicle maintenance. With a chauffeured transportation company, travelers can take the guesswork out of any trip. Whether you’re traveling for business or pleasure, a top-notch chauffeured car service maintains only the best vehicles, ensuring that you can reach your final destination on schedule. Unfortunately, drivers often focus exclusively on the task at hand – earning money by transporting a passenger from one destination to another. While chauffeurs are prepared to deliver extra effort to assist clients, drivers sometimes are more interested in getting as many fares as possible instead of escorting passengers safely between destinations. Chauffeurs want what’s best for clients and follow the necessary steps to make travel quick and simple. THINKLimo’s chauffeurs illustrate exactly what it takes to deliver outstanding customer support. These professionals provide first-rate executive transportation services year-round and are happy to pick up passengers and take them wherever they need to go. THINKLimo also works with clients to ensure they get the support they deserve, 24 hours a day, seven days a week. This Milwaukee car service employs a team of friendly transportation specialists who provide travelers with plenty of options, and ultimately, can help travelers streamline their trips. THINKLimo is dedicated to client safety, and its chauffeurs follow a “Code of Ethics” every day. This chauffeured transportation service’s Code of Ethics highlights the fact that each of its chauffeur’s actions has a greater impact on the community. And as such, its chauffeurs treat passengers fairly and honestly and will continue to do so for years to come. And lastly, THINKLimo prides itself on exceptional customer service and has been a Milwaukee staple since 1978 thanks in part to the commitment of its chauffeurs. THINKLimo’s chauffeurs provide the highest level of service and comfort on every trip. These professionals are always looking for new ways to support passengers, too, and are happy to incorporate client feedback to ensure they can provide amazing care. 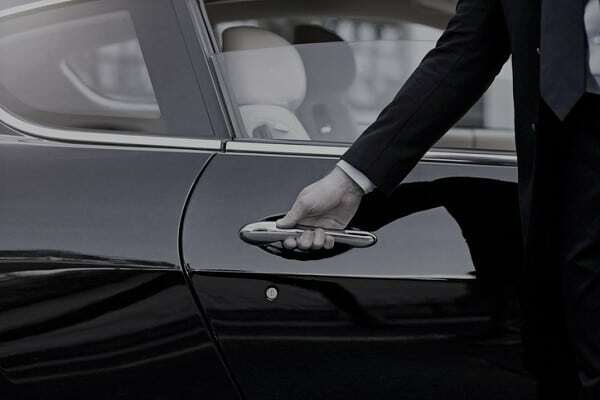 Whether it’s opening doors for a client or providing assistance with a customer’s luggage, a chauffeur is a professional who will go the extra mile to ensure his or her passenger is fully supported. Unlike drivers, who may be focused solely on profits, chauffeurs want clients to have memorable experiences, regardless of where they are traveling. When it comes to finding dependable transportation in and around Milwaukee, THINKLimo delivers unbelievable assistance. While taxi services employ drivers, this transportation company hires chauffeurs who will guarantee you can reach your final destination quickly and safely. This Milwaukee chauffeured transportation company will pick you up at any location, ensure you arrive at your final destination on time and allow you to travel home in style and comfort as well. When thinking about booking your next worry-free trip…THINKLimo.